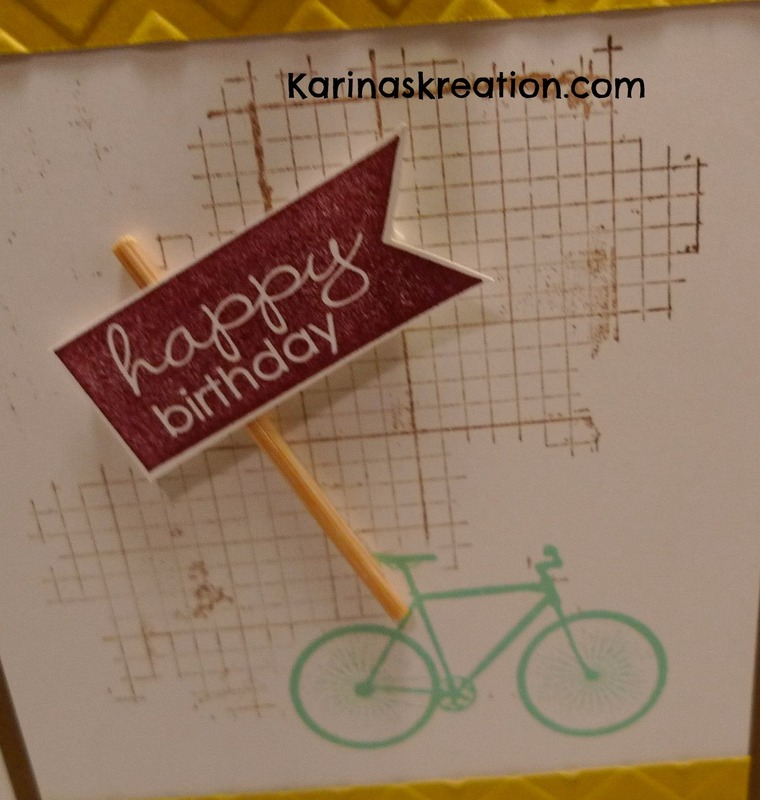 Karina's Kreations: Paper Pumpkin Birthday Tag! My kids go back to school tomorrow and there always seems to be a bunch of birthdays in Sept. 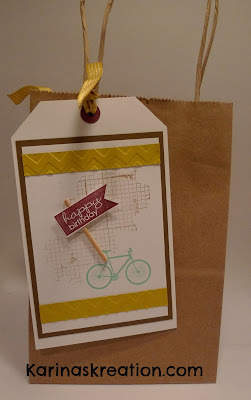 I'm prepared this year and made a bunch of these birthday tags to attach to gift bags. Isn't it cute? The bike image comes from this month's paper pumpkin. One of the benefits of this program are the exclusive stamps. I think this bike stamp is so cute! My card stock colors are Whisper White, Summer Starfruit and Soft Suede. 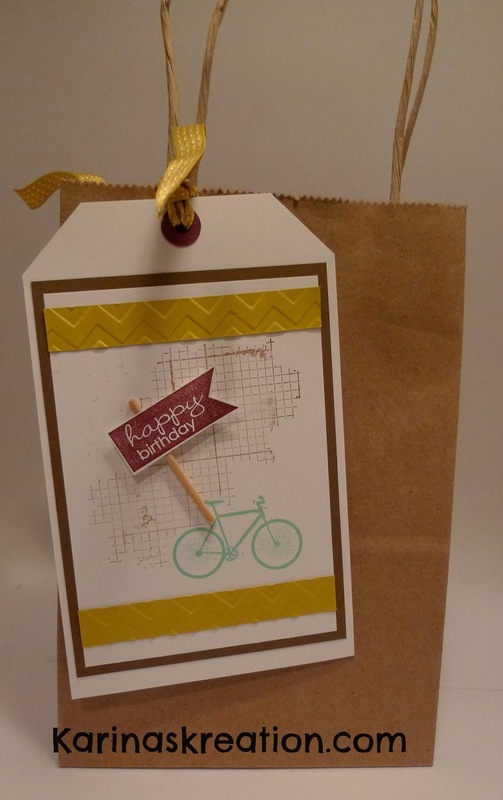 I used two additional stamp sets on my tag, Off the Grid #130736 and Banner Greetings #129711. Banner greetings is a hostess only stamp set so if you arrange for a private class you could choose this stamp set as part of your hostess benefits. Summer Starfruit card stock was embossed with the Chevron Embossing Folder #127749. I hope you make some fun tags for your gift bags.